I have to admit that nebulas are one of the forms I like the most. It’s like seeing fluids of different densities, very close, mixing. It offers forms, due to its densities, its speeds, its temperature and, therefore, its hypnotic energies since they seem to be random. What you see is the Pelicano nebula or IC 5070 about 1500 light years away from here and only visible in the northern hemisphere. After the Orion nebula, this is one of the most studied (and in itself, little known by people) due to the composition of its gases that has helped to understand what is a star breeding. 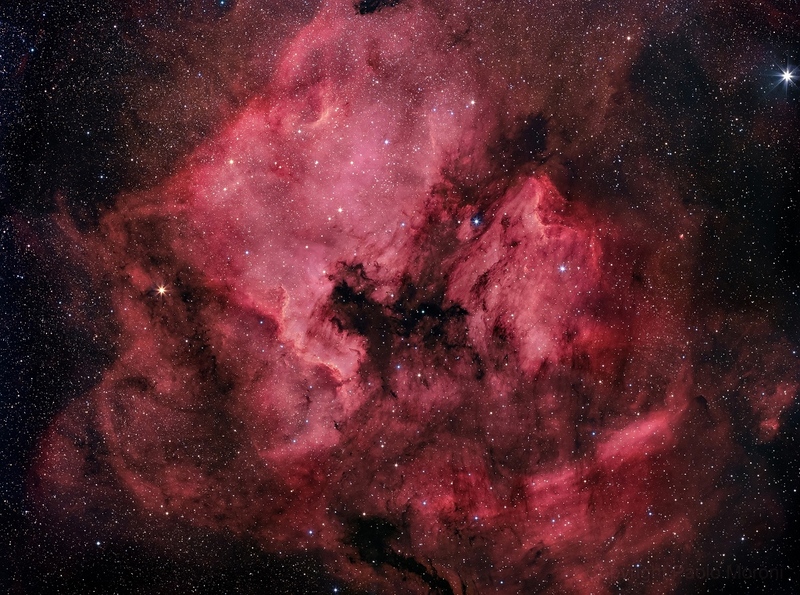 The Pelican nebula is “stuck” to the NGC 7000, a nebula in the constellation of Cygnus of large size, so that if it could be seen (it shines very little) would be the size of the Moon.